In its latest report – the Nigerian Upstream Oil and Gas Report – sent to Vanguard, Afrinvest West Africa, a Lagos based investment banking firm, stated: “While we expect fiscal reforms in the industry to proceed at a slow pace, there may be respite when deepwater product sharing contracts (PSCs) expire between 2023 and 2028 as long-lead projects will depend on the fiscal terms negotiated upon renewal. Another major constraint for explorers is the lack of any new licensing round since 2007. 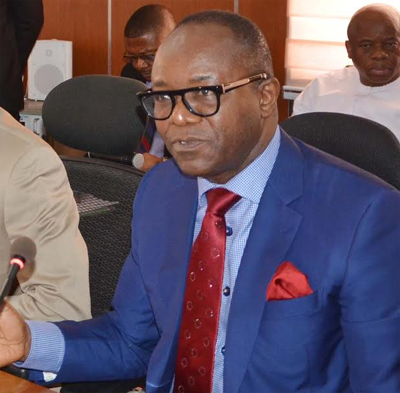 The report that expect the slow pace of progress to impact negatively on investment and operations of stakeholders, stated: “Also, civil unrest and bunkering regularly disrupts production operations in the Niger Delta. This insecurity remains a threat even though a lot of progress has been made since 2009. The government conservatively estimated that 250,000b/d is stolen from the onshore delta, with the pipelines feeding Forcados, Bonny, Escravos and Brass worst affected. “In relation to exploration, this has been limited for many years as drilling in parts of the onshore Delta, particularly the swamps, is too dangerous to undertake, while land ownership issues can also delay explorers. Consequently, some IOCs have resorted to drilling deeper under existing fields, discovering high-pressure gas reservoirs. Specifically worried about the impact on Nigeria’s economy, it stated: “The Nigerian economy is highly dependent on the production and export of its oil and gas resources. According to data from the Central Bank of Nigeria (CBN), the oil sector currently provides c.95.0% of its export earnings and about c.60.0% of the Nigerian government’s revenue. “Nigeria produces oil and liquids from over 220 fields, most of which are relatively small and have an average production less than 10,000b/d. Condensate and Natural Gas Liquids (NGLs) are often mixed with crude oil at the field facilities prior to evacuation, hence it is not possible to obtain the precise split of these fractions. Already, Managing Director of Total Exploration and Production Nigeria Limited, Mr. Nicholas Terraz, has reiterated the need for sanctity of contracts, lower production cost and friendly operating environment, which remain the stimulus in driving more investments to the Nigerian petroleum industry. Speaking at the just concluded Nigeria International Petroleum Summit, NIPS, in Abuja, Terraz, who was represented by Deputy Managing Director, Deepwater District of Total Exploration and Production Nigeria Limited, Mr. Musa Ahmadu-Kidaalso stated that these factors would also boost participation and add value to the petroleum industry. He said: “Our industry’s future is one which like other realities of life, is full of uncertainties. The vicissitudes in the global geo-political terrain, technological innovations within the industry that challenge existing production templates, innovations outside the industry that the industry cannot afford to ignore and which dovetail with demands for alternative sources of energy beyond fossil fuels, concerns for the environment, and the fluctuations in the price of oil, make efficiency in the use of resources, and innovation, a sine qua non. However, stakeholders who gathered at Emerald Energy Institute, University of Port Harcourt, Rivers State, in 2018, to brainstorm on Nigeria’s Petroleum Industry Reforms had stressed the need to hasten work on all the bills. Specifically, in his recent presentation – PIGB Outlook and Impact – the Director of the Institute, Prof. Wumi Iledare had indicated that the PIGB is important as it aims at creating efficient and effective governing institutions with clear and separate roles for the petroleum industry. Iledare had said that the bill will bring about a clear separation of roles, distinct accountabilities, simple and clear lines of sight, focus, transparency and good governance, full coverage of the value chain, minimal interference and eliminate cross subsidisation risks. In his presentation, Petroleum Host Community Bill Outlook and Impact, Dr. Francis Adigwe who is a consultant to the Senate Petroleum Upstream Committee, had stated that PHCB was also desirable because of its importance to all stakeholders. Dr. Adigwe had said: “They are mostly impacted by the activities and operations of oil and gas exploitation. They do not feel sufficient economic development arising from the proceeds of oil and gas production. He said the demand included the amendment of the Constitution of the Federal Republic of Nigeria to confer ownership of petroleum resources on host communities and the conferment of all or part of concession rentals and royalties. Dr. Adigwe had noted that the demands also included direct participation in equity ownership of petroleum operations, Carried equity participation and share of profits; become beneficiaries of dividend payments arising from oil and gas proceeds; conferment of resources from Derivation and NNDC Act on host communities and 10 per cent (or more) of net profit of oil and gas companies. Meanwhile, President Muhammadu Buhari said he was still committed to Nigeria’s reform, adding that he would assent to the Petroleum Industry Governance Bill, PIGB, as soon as the National Assembly presented it to him. The president, who spoke at the 40th anniversary of the National Union of Petroleum and Natural Gas Workers, NUPENG, in Abuja, said when the bill becomes law, it would address most of the challenges facing the oil and gas industry.